For parents looking to gain a greater understanding of their child’s screen use, we have two new NAPPA Award- winning Apps that help with the monitoring. This app allows parents to more closely monitor their tweens’ and teens’ device use. The App will send all recorded data to a secure web-based account which allows parents to monitor remotely from any device. 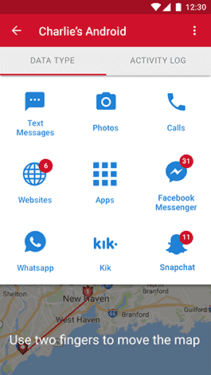 WebWatcher allows parents to view messages (texts, Facebook and other social media), call history, photos, website history, GPS and more.$10.83/month. This app is designed to help parents gain a better understanding of just how much time their kids are spending on a screen. Includes a “pause button,” allowing parents to use their own smartphone to “pause” their child’s device remotely. The app also allows children to earn more screen time by doing specific things set up by the parents, such as chores or homework. 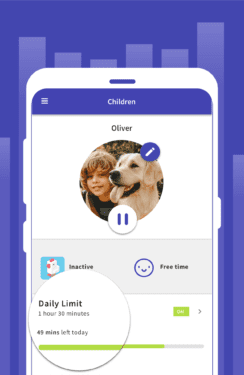 Parents can also set daily screen time limits and block certain apps at specific times of day, in addition to many other useful features.$4.99/month.